This is a sponsored post. I received financial compensation in exchange for my fair and honest opinion of a product from Uncommon Goods. All opinions stated in this post are solely my own. What do you do when your party hits a flat note and your guests are ready to bolt for the door? Charm them with music, of course! I located the most unique item at Uncommon Goods: Major Scale Musical Wine Glasses. 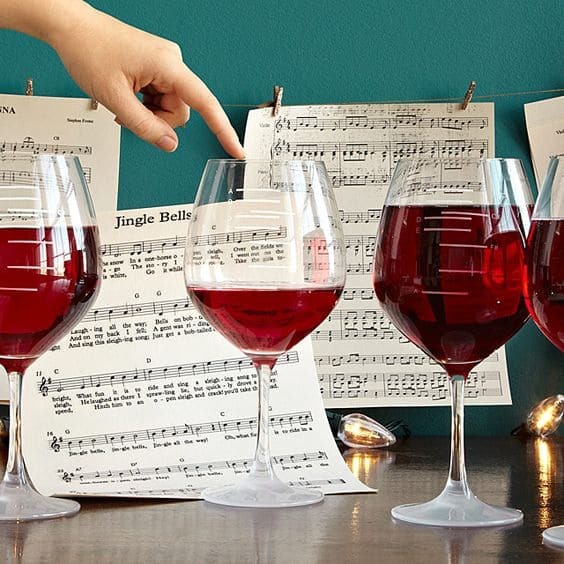 There wine glasses are not only beautiful, but they play music right down to the exact note. How, you might ask, can the glasses play musical notes? Just fill each goblet to the desired note delineated on each glass and and move your moistened finger around the rim of each glass. Like a beautiful note on a violin, the glass will vibrate and a crystal-clear note will sound. It is that simple! Your guests may erupt with applause at the conclusion of this symphonic display. And the great news is that wine accessories, including glasses, make great gifts for just about anyone! This is the perfect item to purchase for myself. I do not play an instrument, but I’ve always wanted to play something. These goblets give me the opportunity to be musical. I have several friends who would adore these as gifts because they entertain quite often. This would be a great addition to their parties and soirees. 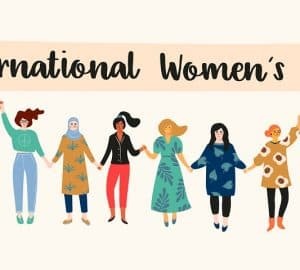 With my girlfriends’ upcoming birthday celebrations, there is a great selection at Uncommon Goods for women. One way that I ensure that my family and friends know how much I care about them is to personalize their gifts. It shows how much thought that I put into each gift that I have selected. 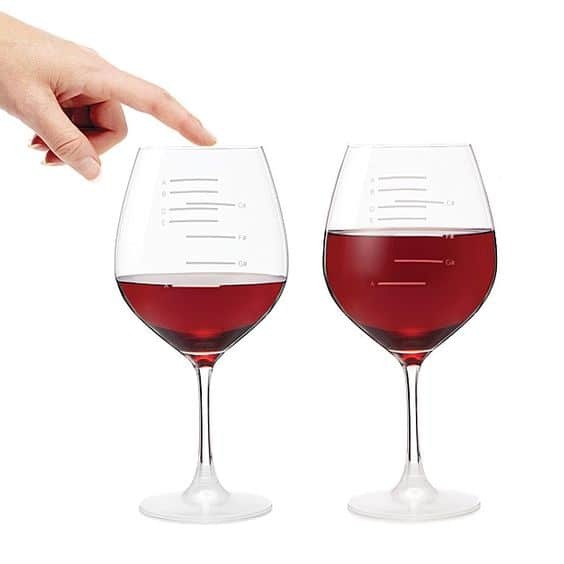 Each Musical Scale Wine Glass accommodates a full A-major scale with each note labeled with sandblasted fill lines. The website contains different sheet music for you to download and play your favorite songs! 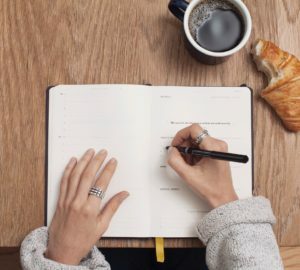 To maintain an environmentally friendly, socially responsible, and rewarding place to work, Uncommon Goods has outlined several mission statements that all work together to achieve these goals. A positive workplace where treating each individuals with dignity is paramount and ingrained in their culture. They also include handmade, recycled, and organic products in their merchandise assortment. They use recycled or Forest Stewardship Council (FSC) derived paper for their catalogs. (FSC paper comes from forests harvested in a sustainable manner). I love uncommon goods. They have some unique pieces. Never seen these before. What an amazing idea for a present! These are so cool!! Such a fun and unique gift for any wine lover! What a cool idea!! I haven’t seen these before! Seriously, Uncommon Goods has all the coolest stuff. I would love to own those musical wine glasses.